The local government of Marikina expresses its interest to implement Muntinlupa Joint Resource Financing Program (Tulong Negosyo), a zero-interest loan assistance to budding entrepreneurs, in their city. 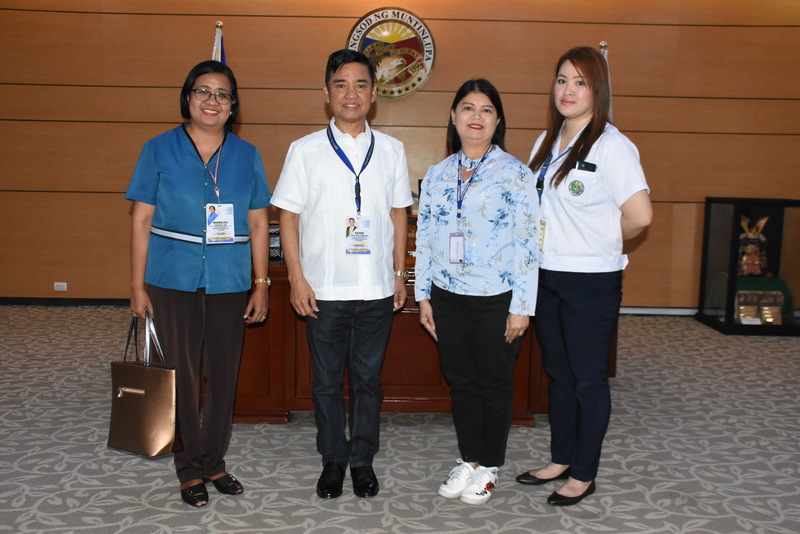 Marikina Local Economic and Investment Promotion Officer Lourdes dela Paz visited Muntinlupa Mayor Jaime Fresnedi for a courtesy call on January 15 to benchmark Muntinlupa’s programs for entrepreneurs. Previously, Manila City conducted a benchmark visit to Muntinlupa and has adapted the JRFP Tulong Negosyo. Muntinlupa City has been hailed the Most Business-Friendly LGU by the Philippine Chamber of Commerce and Industry for 2017 and 2018. Also attending the meeting was JRFP chief Malou Lobo.